For this month’s next review for Genre Grandeur – High School/Teen Romance Movies, here’s a review of The Fault in the Stars (2014) by me. Thanks again to Kim of Tranquil Dreams for choosing this month’s genre. Next month’s Genre has been chosen by Reut of Sweet Archive. We will be reviewing our favorite dark comedies. Please get me your submissions by the 25th of July by sending them to darkcom@movierob.net Try to think out of the box! Great choice Reut! 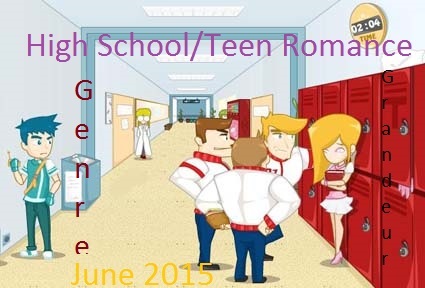 Brief Synopsis – Two teens with cancer meet in a support group and start to become very close despite their illnesses. My Take on it – There are certain movies that we see that we get so attached to that we can’t imagine a world without them. For me, this movie fits into that category. 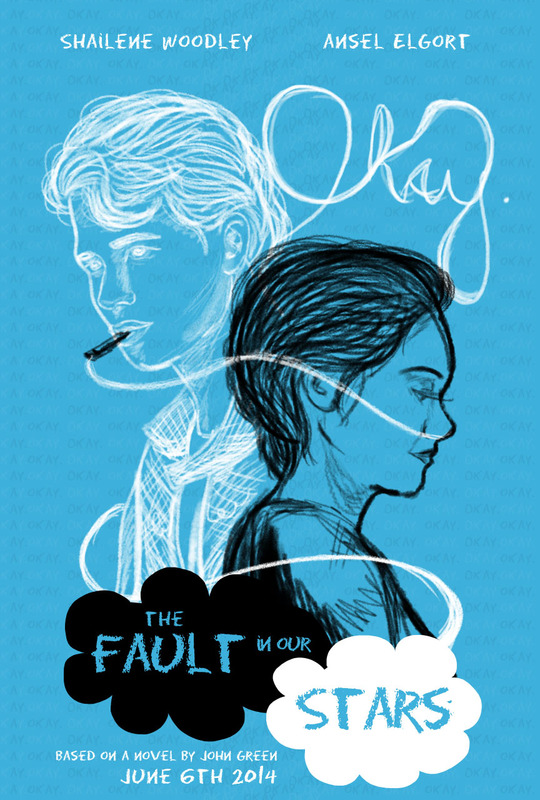 The chemistry between Gus and Hazel feels to me so genuine and I believe in their relationship 100%. Besides their chemistry, I feel that these characters teach the world so much about life and how to never give up and live your life to the fullest no matter your situation and circumstances. After seeing the movie the first time, I immediately bought the book and finished it in a day (I couldn’t put it down). This is one of the best movie adaptations of a book because they got so much right and after having read the book, I didn’t want to condemn the movie for being blasphemous (like I usually feel in these circumstances). Shailene Woodley and Anson Elgort are both great here and they both have very promising careers based on what I’ve seen of their work so far. Unfortunately, they didn’t get the proper recognition that they should have gotten for these roles eventhough I did hear both of their names mentioned on Oscar shortlists. This is one of my favorite movies of 2014 and it also is now one of my favorite romance movies. Bottom Line – Excellent portrayal of a love story because you can really feel that the characters love each other. Great adaptation of an amazing book. Unbelievable performances by both lead actors that unfortunately didn’t get the recognition they should have gotten. Highly Highly Recommended! I really didn’t like the book but I enjoyed the film a lot. I’m sure this is a lovely film (and book) but nothing I’d ever watch I’m afraid. Just not my cup o tea sir!